Summary: For some reason, a dude ends up living in the dorm called Sakurasou that is full of genius yet problematic residents. His goal: move out of Sakurasou. 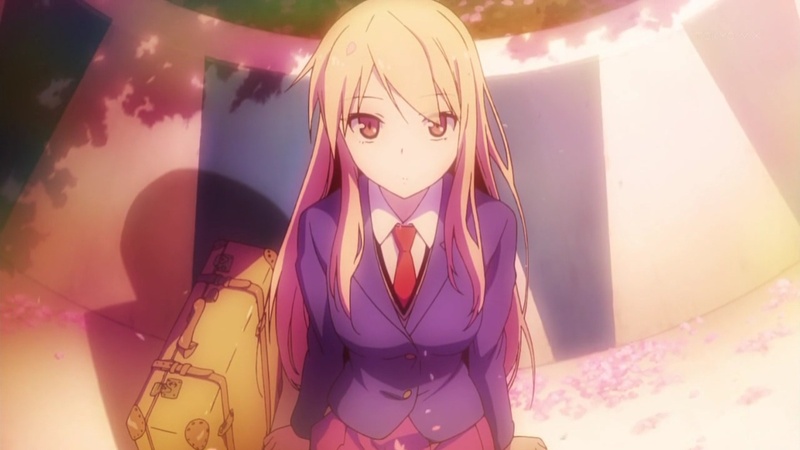 One day, he was asked to go the train station to pick up the cousin of a teacher (who's also the dorm RA), who will be moving into sakurasou and attending he same school as he. Personal comments: It started off like a typical harem apartment anime, though the introduction of the teacher's cousin changed the beat a little. I think it has potential, but it's still a bit hard to tell which way it's heading at the moment.